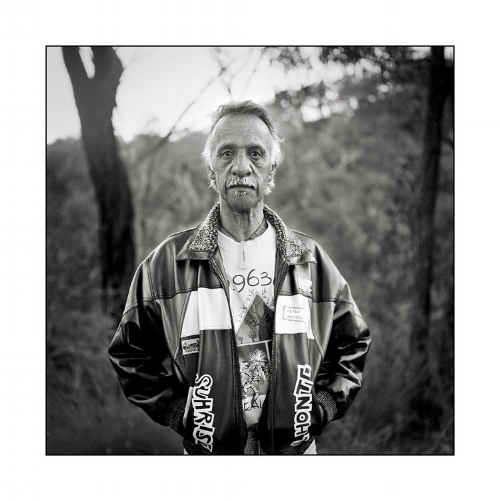 I first met Uncle Cecil at Gibber Gunyah in 2002 when I was invited to make photographs at the first reunion of the survivors of Kinchela Boys Home (KBH). 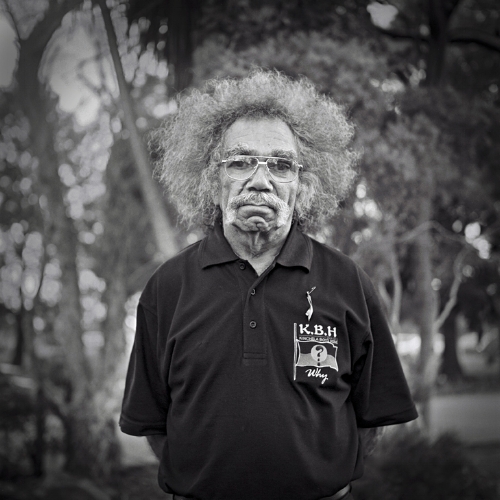 Uncle Cecil declined to have his portrait made at that time, but months later when we went back to the site of the original boys home near Kempsey, as part of the KBH journey of healing, he approached me to make his portrait. I was using an old Yashica 12 medium format camera to do the portraits. I took one shot and then, as I cranked the handle to wind the film to make another photograph, he disappeared. Uncle Cecil obviously thought that one frame was enough. Ten years later, an exhibition at Sydney University of 35 of my KBH portraits was opened by Professor Marie Bashir who was the Vice Chancellor and Governor of NSW and Aunty to the KBH men from her work at the Aboriginal Medical Service. Late in the afternoon the day before the opening, Pastor Ray Minniecon brought Uncle Cecil to the exhibition to give his seal of approval. Uncle Cecil walked around the gallery space in silence, stopping before each portrait and taking a long look. When he had looked at all of the portraits, still in silence, he walked to the side of the room, sat down and cried. I'll never forget you Unc. was never there in the first place. When I first saw Reginald Barber's painting it took my breath away. Not just for the photographic quality of his exquisite watercolour, but also because it so beautifully demonstrates that photography, like painting, is art. The timelessness of the Fisher Girl's look reminded me of my daughter, whose photographic portrait I made in response. Edie Franks was always an activist. Whether campaigning against inappropriate development in Byron Bay, where she lived most of her life, or travelling to the Northern Territory to demonstrate against uranium mining. In 1989 Edie moved to Bangalow. Upon learning that the subtropical rainforest that once covered hundreds of hectares of land in the northern rivers had been reduced to small fragmented pockets battling to survive, Edie decided to leave a living legacy in the form of a rainforest along Paddy's Creek. Numerous visits to local nurseries, some help from Byron Shire Council, and employing her family to propagate seeds from the existing plants, Edie's dream began to take shape. 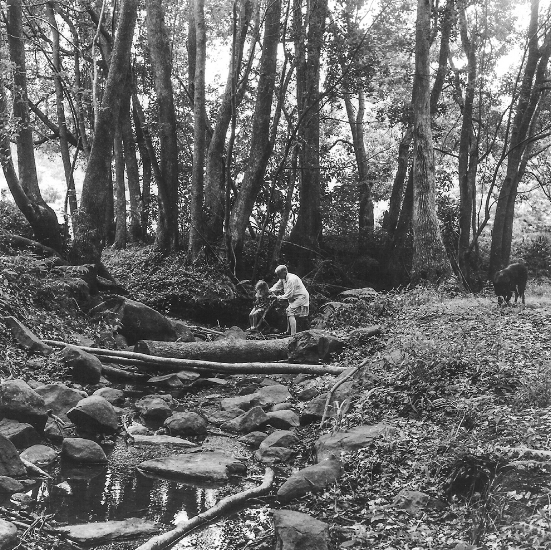 Edie worked for 10 years planting and weeding for approximately 1 km along both sides of the creek creating a wonderful native plant corridor. The original trees have now seeded and this area has become a haven for a variety of wildlife. Rest in peace, dear Edie. Forever in our hearts. To be a lady of the canyon"
"...the ocean bed their tomb" by Warren Langley — at Australian National Maritime Museum. Author & architect Jim Colman, his wife Elizabeth, Jack & Judy Mundey at the launch of Jim's book about Jack "This is the house that Jack built"